Saramonic Super Cardioid Unidirectional Condenser Microphone PMIC1. 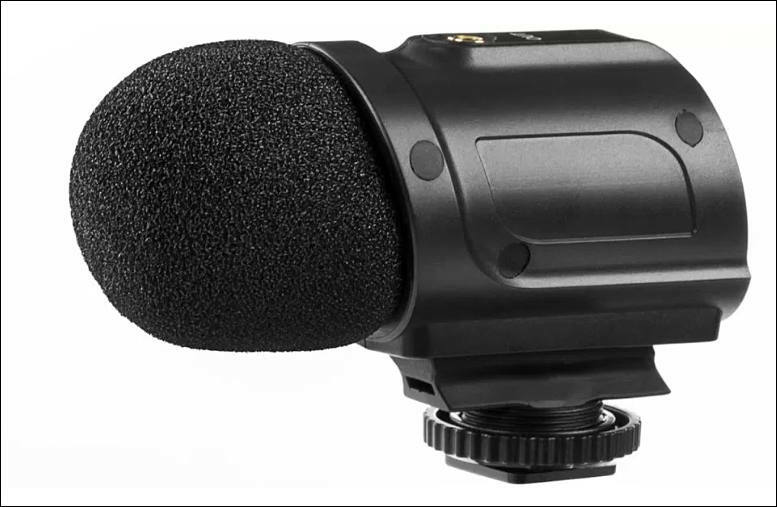 This mike is designed as the first step towards better quality audio, with a lightweight shotgun style design that enables it to sit comfortably in a cold shoe mount. It features a low cut filter that helps to cut down on rumble and low frequency noise whilst boosting the intelligibility of dialogue. Mike doesn’t require a battery and connects directly to the cameras 3.5mm socket. 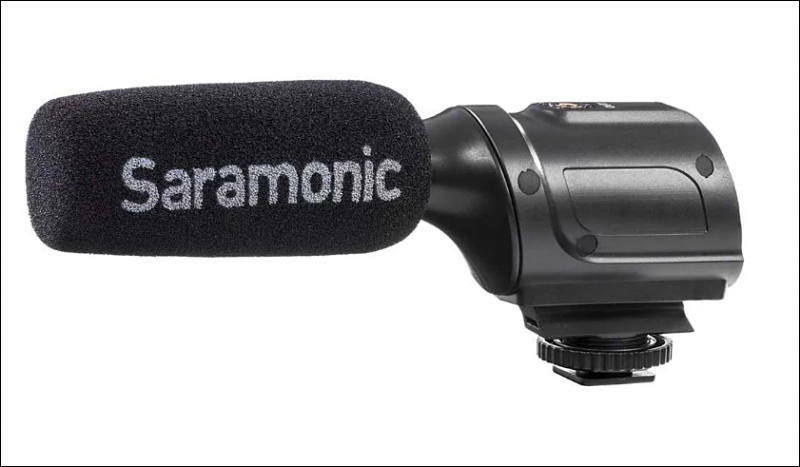 Saramonic Stereo Condenser Microphone PMIC2 offers 75Hz low cut filter to deal with still lower frequencies. The PMIC2 adds stereo to the mix. 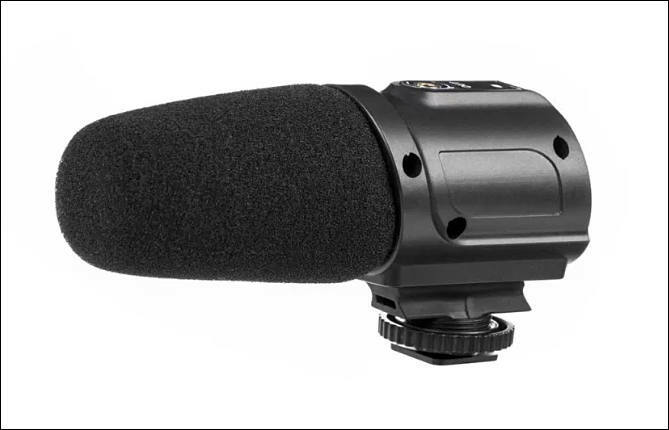 Surround Condenser Microphone PMIC3 also offers 75Hz low cut filter to deal with still lower frequencies. PMIC3 is a surround condenser microphone to bring engaging surround ambience to a recording. PMIC1 carrying an SRP of £62.34, while the PMIC2 is £87.54 and the PMIC3 £124.74.